The sadly departed host’s visit to the German capital featured some interesting people and places. Anthony Bourdain — the charismatic and powerfully articulate chef, author and host of culinary travelog Parts Unknown — tragically passed away last away Friday. Bourdain leaves a legacy of inspired travel and food reportage. His unique qualities were on full display again when he visited Berlin in the first posthumously aired episode of Parts Unknown. 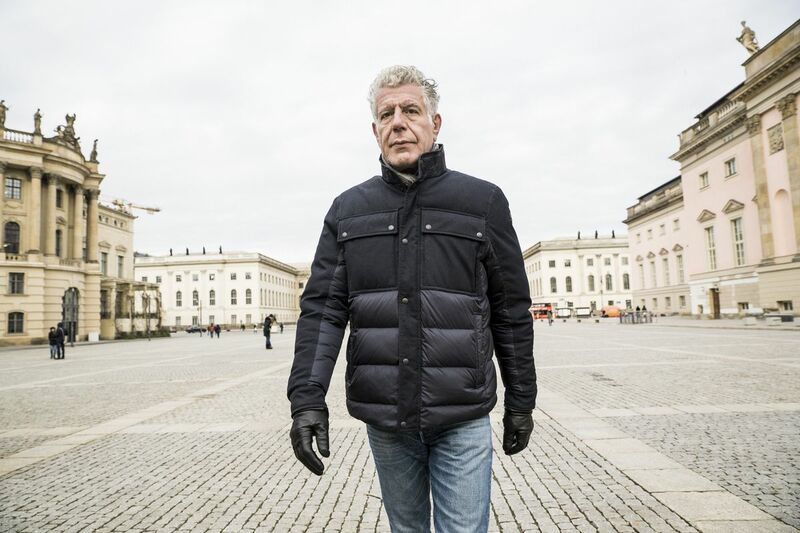 As to be expected from a Bourdain-crafted episode: this is Berlin’s food culture with a twist. Joining him on the episode is cult DJ Ellen Allien who sat down with Bourdain at the Michelberger Restaurant to explain the vitality of Berlin’s club culture and its unique intersection with history. Other highlights from the trip include a home-cooked meal from garage-psych band The Brian Jonestown Massacre‘s Anton Newcombe. In between cooking, the frontman even had the chance to record some demo tracks. Head here to see clips and here for further details. And don’t forget that Ellen Allien will be gracing our Telekom Electronic Beats clubnight this Saturday, June 16 at Duisburg’s industrial Landschaftspark. RSVP to the event here.